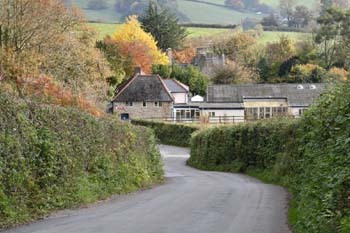 Farway is a small village, civil parish and former manor in the East Devon district of Devon, England. The village is situated about 3½ miles (5.6 km) south-east of Honiton and includes the small hamlets of Netherton, Sallicombe, and Woodbridge. 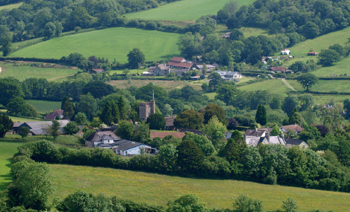 Farway is on the East Devon Way - a walking route from Exmouth to Lyme Regis through the heart of the East Devon Area of Outstanding Natural Beauty, linking to the South West Coast Path, the beautiful Jurassic Coast World Heritage Site and the Exe Estuary. The River Coly has its source above Farway being joined by the Umborne Brook at Colyton from where it flows to join the Axe at Colyford. 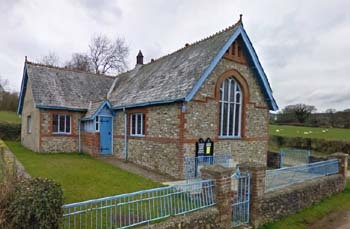 Farway Methodist Church. Farway is a scattered rural community - the church may take a little finding. Sunday worship alternates between mornings (11.00am)and afternoons(3.00pm); numbers vary from six to fourteen, though special services may attract 30-40. This is a caring, supportive congregation, who appreciate traditional worship. Upcoming events in and around Farway. Farrway Football Club fixtures for April 2019 can be found on the Village Hall page in the skittles dropdown box.